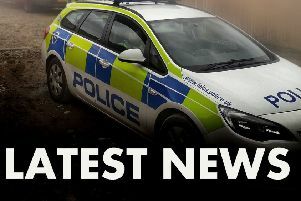 Police are appealing for the public’s help following the theft of two quad bikes and a faltbed trailer from a shed at a property at Old Dalby. Officers would like to hear from anyone with information about the crime, which took place sometime between 10pm on Monday (April 8) and 4am the following day. One of the quad bikes is a green TRX 420 TMI model with the serial number 11038746 while the other is a red TRX 300 model with the serial number PA521348. The Ifor Williams flatbed trailer has the chassis number SCK60000040407911. Anyone who has seen the items should private message the Leicestershire Police Facebook page, starting their message with ‘incident 19000180442’. Alternatively they can call police on 101.